In 63 BC a Roman tribune of the people named Publius Servilius Rullus proposed an agrarian law to redistribute land. Agrarian laws were not new. The tribune Tiberius Gracchus attempted such a redistribution in 133 BC, and his brother Gaius tried again in 123 BC. It should be noted at the outset, that agrarian laws did not propose taking privately-owned land away from current owners and redistributing it. Rather, the idea was to take some or all of the ager publicus, the public land. These were lands belonging to the Roman state, usually acquired through conquest. There was often resistance to agrarian measures from the nobility, as many rich Romans had acquired the use of such public lands, whether through corruption or fraud, for very nominal rents. Having possessed such rights to these lands long enough, many of them naturally looked upon themselves as rightful owners, even though at law they were not. Any attempt to redistribute public lands seemed to the nobility like an attempt to dispossess them of their property. It is hard to have any sympathy with these nobles. They had used the public lands to build up huge agricultural estates (latifundia) worked by armies of slaves, while small farmers who could not compete with them lost their lands and flocked to the city. There were many needy poor crowded into the city of Rome, and preventing something from being done to better their condition seems, well, churlish. However, redistribution became a political program for ambitious politicians to use for party purposes. There was a so-called “popular” party (the populares) who agitated for better conditions for the poor. They sought to turn mass appeal into electoral success. Opposed to them were the “better sort” (optimates), a senatorial class of wealthy, propertied and powerful citizens who preferred to rely on their traditional auctoritas and their networks of dependent clients. In reality, the leaders of the populares cared little for the poor. They were mostly led by men who could just as easily have sided with the optimates if it weren’t for the fact that they saw opportunities in playing the role of “men of the people”. By way of illustration, the wealthy patrician Julius Caesar was a popularis. And Publius Claudius Pulcher, a member of one of the most illustrious patrician families of Rome, had himself adopted by a plebeian family and changed his name to “Clodius” (reflecting the plebeian pronunciation) so that he could gain election as a tribune of the people. A man as unscrupulous as Clodius could have little real sympathy with the urban mob. The mob was simply a political tool, an alternative route to political success. It was in this context of a struggle between populares and optimates that Rullus’ agrarian law was introduced. From the populares’ point of view the introduction of the bill was a win-win situation. If it was passed, then they would get their way and gain great popularity with the plebs. On the other hand, if the optimates managed to defeat it, they would in the process have to make themselves look very bad in the eyes of the people. Cicero, who was one of the consuls that year, dared to oppose the bill. He had to walk a tightrope in doing so. He did have some small sympathy for the plight of the poor, but as a novus homo (a “new man” whose ancestors were not nobles and had never held high office) he lacked a powerful familial political base and could not afford to alienate the nobility, upon whom he was dependent for political support. But he also needed the support of the people if he were ever to be able to win another election. For someone less skilled than Cicero at tightrope-walking, to oppose Rullus’ agrarian law might have been political suicide. But Cicero opposed it. Why did Cicero oppose the bill? In short, because it was dangerously flawed. What’s more important, it was flawed in ways that are instructive to the modern reader who wishes to contemplate various government measures that propose to do good works with other people’s money. To begin with, Cicero noted the great secrecy surrounding the crafting of the legislation. 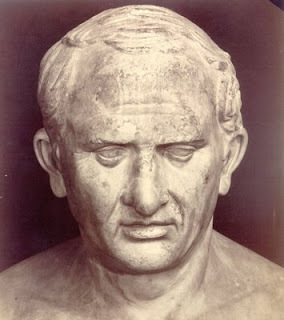 When Cicero heard that the tribunes were planning an agrarian bill, Cicero, as consul, claimed to have sought to aid them with his political knowledge and experience. After all, he said, doing something to help the poor was a good idea (here Cicero is walking that tightrope, portraying himself as a man of the people). His overtures were rebuffed. Obviously those responsible for the bill did not wish the consul to see what they were up to. Once the bill was introduced, many flaws became apparent to Cicero. It called for provincial public lands to be sold off, with the proceeds to be put toward purchasing (more expensive) lands in Italy. Colonies of landless poor would then be settled on them. However, the numbers didn’t add up. Cheap land would be sold (probably at a discount) to pay for more expensive lands. And large and profitable latifundia would be broken up into smaller and less profitable peasant holdings. Besides the loss in productivity (to use modern phraseology), the difference in purchase price would have to be made up from the public treasury, thereby likely bankrupting the state. There were other problems. The sale, purchase, and distribution of the lands was to be entrusted to an elected board of ten men — the decemvirs. However, the arcane and highly unorthodox process for electing the decemvirs provided for in the bill would virtually ensure that none but populares could become decemvirs, Rullus and his cronies among them. In other words, it was a highly partisan piece of legislation. It also stipulated that any candidate for the board of decemvirs had to present himself in person for election. This was engineered to exclude Pompey from standing for election, since he was off campaigning against Mithridates in the East. Pompey was perhaps the only person in Rome at that time powerful enough to stand up to any nefarious designs of the populares. It was with regard to the decemvirs that Cicero smelled a rat. Several rats in fact. First, the decemvirs were to be given wide discretionary powers. They could buy and sell whatever public lands they liked, to whomever they liked, at whatever price. Heck, they could even sell it to themselves if they wished, since their decisions were final and not subject to veto. It was all a recipe for near-certain corruption and public fraud on a massive scale. Despite the many problems with the bill, it must still have been no easy task for Cicero to sway the people of Rome against it, for many of those people stood to benefit from it, or at least they thought they would benefit from it. He was in effect attempting to stop a bill the purported aim of which was to give relief to the poor. What kind of monster can have anything against helping the poor? It is this dilemma that has always caught my interest in this speech of Cicero’s on the agrarian law, a speech which in the opinions of many classical scholars is otherwise not among Cicero’s major works. It fascinates me because it represents a problem that is faced by political systems today: many measures are proposed by politicians that are popular, in the sense that they purport to help some group that seems to need help, or purport to be of personal benefit (at least in the short term) to a broad plurality of voters. To oppose such a bill is to court accusations of being in the pockets of plutocrats, or of hating the poor, or of not understanding what is in the interests of the people. It takes political courage to oppose something that appears prima facie morally unassailable. Sometimes such measures are proposed with the best of intentions by well-meaning politicians. Sometimes, less often, they are proposed with a hidden agenda that is anything but altruistic or aimed at the public good. But even well-intentioned legislation may grant administrative powers that can do damage when wielded by others who are less public-spirited. A few years ago the previous left-leaning mayor of my city, David Miller, demanded that he be given “strong mayor” powers to deal with some of the issues the city was facing. At the time it was a very popular proposal among “progressive” types, but I thought it was a very bad idea. I believed Mr. Miller was not very adept at using the powers he already had, and that little good could come of giving him more. However, putting my personal political bias aside for a moment, I ask supporters of Mr. Miller to imagine that he had been granted those enhanced powers. They would now be wielded by his successor, the right-leaning Rob Ford, who is much-despised by Mr. Miller’s “progressive” fan base. The measure would have thus cut both ways. 3. Does the government action proposed as a solution involve minimal impairment of rights? 4. Are the enhanced administrative powers required by the solution (i) clearly delineated, (ii) accountable, (iii) revocable, and (iv) proportional? 5. If the enhanced administrative powers necessarily include the exercise of discretion, is such discretion minimized as far as possible? I could probably add more, but that is a start. At the very least, Cicero would have said that Rullus’ agrarian law violates 3, 4, and 5. Depending on one’s view of the nature and causes of Rome’s urban poverty, it may have violated 1 and 2 as well. Let us return to the tightrope I referred to earlier. Cicero had to avoid alienating the senatorial nobility. This he accomplished in the very act of opposing Rullus’ bill. However, he also needed to avoid alienating the populus, which was best accomplished by somehow positioning himself as a man of the people. As an extremely wealthy consul and member of the Senate, how was Cicero to pull off this latter task? His strategy was multi-pronged. To understand this rhetorical strategy, one must understand the Romans’ almost pathological dread of kingship. To be ruled by kings was alright for the peoples of Asia, who were natural slaves anyway as far as the Romans were concerned. But the Romans had overthrown their kings and founded a republic back in 509 BC. This made them free and therefore superior to other peoples. A Roman’s reaction to the word “king” was similar to — though possibly more visceral than — a modern American’s reaction to words like “communist” or “terrorist”. In short, Cicero was attempting to turn the tables on the tribunes of the people, by portraying them as agents of monarchy and himself as protector of the republic. In his references to kingship he was pressing rhetorical hot buttons. Finally, he adopted a line of argument that, in my opinion, does Cicero little credit, for it seems designed to pander to the people’s laziness. He argued that the agrarian law was a bait-and-switch manoeuvre that would take away from the people a privilege that they already enjoyed and replace it with something of lesser value. The people already received a free grain dole. If the agrarian law were passed, they would lose this handout and have to farm for their own grain instead. This seems a very base argument. If the people were disposed to respond favourably to it, then this might say as much about the people’s lack of integrity as it does about Cicero’s. A more charitable view is that Cicero was speaking to an audience that had been dependent on the grain dole for so long that they wouldn’t know the first thing about farming a plot of land for their sustenance. Many may have been out-of-work artisans rather than farmers. A gift of land might have been of little use to such people. If this were the case, they would probably end up selling their allotments to landowners who could make better use of them. They would then end up back in the city, landless again, with no dole, while their lands wound up in the hands of the rich. This may be why Cicero was arguing that this scheme of the popular party would in reality be no help to the people, but was more likely to make them worse off, while the rich became richer in the bargain. In the end, Cicero was successful. Thanks to his supreme rhetorical skill, he managed to walk the tightrope, portraying himself as a man of the people and the agrarian bill as a nefarious plot against the liberties and economic well-being of the poor. Cicero was the greatest orator of the age. Our orators are sad rhetorical punies by comparison. We could certainly use a Cicero. Such quasi-agrarian measures are easy to find today. They are most commonly of three kinds. The first kind involves the proposed sale or privatization of public assets that are a net gain rather than drain on the public treasury. Such assets are often sold off in less than transparent deals without a competitive bidding process to parties who have connections with officials doing the selling, our modern-day Rulluses. As a case study, several years ago the university at which I work sold off a huge tract of its land — an endowment that had originally been granted to it by the taxpayers of Ontario — to a developer who, it turned out, was related to someone on the university’s board of governors. There was no Cicero to speak against it. The second kind of modern agrarian measure takes the form of some proposal for tax cuts that will “help middle class families” or “create jobs”. Successive such bills make it into law, even though they have done nothing to help middle class families or create jobs. In fact, most of them were never intended to do these things. They were intended to enrich politicians and those who lobby them. Even worse, they are passed in the face of budget deficits, thereby bankrupting future generations who have no voice in the transaction. And again, there is rarely a Cicero to speak against them, because after all, who can be against middle class families or job creation? The third kind comes in the form of various taxes, tariffs, and subsidies intended to help one economic party, usually at the expense of another. In these cases, government is put in the position of picking winners and losers in the economy, rather then being the representative of all. The “winners” that are picked are usually those who have lobbied hardest and given the most money or in-kind contributions to politicians (i.e. they offered the largest bribes, to call a spade a spade). The “losers” are those who either played by the rules and minded their own business or who failed to lobby hard enough or contribute enough money to those with non-market power. These are all forms of rent-seeking. In this sense, much of Cicero’s De Lege Agraria can be read as an early contribution to the political economy of rent-seeking. Cicero, it turns out, was a proto-public choice economist, providing insights into non-market decision-making. In fact, the insights offered by Cicero are at the heart of much traditional republican political theory, so perhaps we ought to say that public choice economics is in reality a branch of republicanism. It may be anachronistic to call Cicero a public choice economist, but he was most certainly a republican, one of the greatest who ever lived. Well said, sir. Regarding Optimates and Populares, a plague on both their houses. The Optimates' appeals to mos maiorum seem hollow to me, given their willingness to dispossess the small freeholders in favor of their own latifundia. In effect, the Optimates created the urban mob that became the tool of the Populares. Plus ça change, plus c'est la même chose, n'est pas?